CNN en Español host Juan Carlos Lopez interviewed National COSH Deputy Director Jessica Martinez on April 24th on the occasion of Workers' Memorial Week and the release of the new National COSH report Preventable Deaths 2014: The Tragedy of Workplace Fatalities. In addition to National COSH's report of Preventable Deaths, local COSH groups – in New York, California, Massachusetts, Wyoming, Tennessee, and Texas – have written state-specific reports. National COSH releases "Preventable Deaths 2014: The Tragedy of Workplace Fatalities"
For Workers' Memorial Week, the National Council for Occupational Safety and Health has released its annual report on preventable deaths in the U.S. workplace. More than 50,000 U.S. workers die each year due to occupational injuries and illnesses, according to the report. Read more about National COSH releases "Preventable Deaths 2014: The Tragedy of Workplace Fatalities"
If local and regional newspapers had their say in it, the USDA would rethink its proposed poultry rule, which would drastically increase the inspection line speeds at poultry factories and would replace government inspectors with company-appointed ones. In the past couple of weeks, the folly of the proposed rule has been opined about in editorial pages in newspapers from the most affected regions. 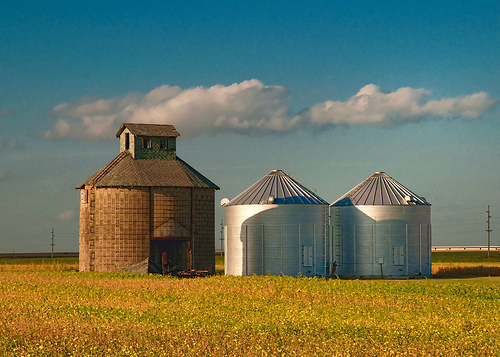 The hazards associated with grain bin storage and other “post-harvest” activities are well documented, and 2010 saw a record number of grain bin fatalities, with 26 workers perishing in these facilities. Secret provision tucked into Farm Bill would grind rulemaking to a halt. Because science. When the American Association for the Advancement of Science comes out against a proposal called the “Sound Science Act,” it’s time to pay attention. Read more about Secret provision tucked into Farm Bill would grind rulemaking to a halt. Because science. The 2013 National Worker Safety and Health Conference was a huge success, thanks to you! Happy New Year, everyone! We hope you had a relaxing holiday season and are as geared up as we are for another great year of worker health and safety. First off, thank you to all of you who helped make the 2013 National Worker Safety and Health Conference such a wonderful event! We had approximately 300 attendees, hailing from COSH groups, labor unions, worker centers, advocacy groups, and academic institutions. Read more about The 2013 National Worker Safety and Health Conference was a huge success, thanks to you! The holidays are a busy time. There is finishing up year-end projects, getting finances in order, and if you’re lucky, buying (and wrapping) gifts for loved ones. But you are not the only one keeping up the frenetic pace. We at National COSH are busy wrapping up during the end of the year, especially as we sift through photos, edit videos, and read through evaluations from last week's hugely successful National Worker Safety and Health Conference. (We promise an update about the conference and all of the accompanying goodies is coming soon!) But as we're playing catch-up, we realize you might be ready to wind down for the year. Looking for some health and safety holiday reads? Journalists have been churning out some quality work that is sure to fire you up for another year.